It’s the Easter weekend. The weather’s perfect, skies are clear and my mate Kevin and I are in the cockpit of my beloved Kitfox 3 ‘rag and tube’ light plane. We’re at 5000 ft and heading east for Kalgoorlie, 590 km away. My Kitfox 3 was a beauty. I’d purchased it from Skystar Aircraft Corporation USA and spent about 850 hours putting it together. I learned to fly in it, and you could say this plane taught me how to fly. The Kitfox 3 was an improvement on the earlier two models, and it surpassed all my expectations. However, my only concern was with the welded aluminium fuel tanks supplied with the kit. The intense heat caused by welding aluminium can affect the alloy and change the composition right where the strength should be. But when I looked over the rest of the aircraft, its quality reassured me I should have no concern. To take my newly built Kitfox out for a spin, Kevin and I had planned a flight from Perth to Kalgoorlie. I’d recently gained my private pilot’s license and passed my CTA, which enabled me to fly unrestricted, while Kevin had the flying experience of many thousands of hours locally and overseas. We departed Jandakot, just south of Perth, at sunrise. The weather was perfect, and as we tracked east across the Western Australian countryside, Kevin described the finer points of cross-country flying. We arrived at Merredin mid-morning and topped up our fuel tanks with 40 litres in each, expecting to make it to Kalgoorlie without having to refuel again. During our flight my wife and kids followed us by car and we kept them up-to-date on my CB radio. It was approximately 45 miles out of Southern Cross when I noticed the smell of fuel, and tried to determine where it could be coming from. As the fumes worsened, we decided there was no choice but to make a forced landing. Up to that point, we were not greatly concerned and started looking for the best landing spot. I contacted my family in the car and told them about our plan. The only option was the Great Eastern Highway, but as it was the Easter long weekend, the road was crammed with traffic. We waited patiently for a clear patch. We were, however, unaware that our left fuel tank had burst at the seam and over 30 litres or so of fuel had drained into the wing. Approaching from the west, Kevin banked the Kitfox to the right to line up with the highway. It was at this point that the accumulated petrol poured out of the wing, saturating both of us. Realising this was now an emergency, I switched off all electrics, the engine and fuel. We glided in eerie silence. As I looked down, I realised the Easter traffic would make a safe landing on the road impossible. Our only option was a rough, narrow-gravel track, parallel to the highway. Kevin and I didn’t speak as I prepared for a rough touchdown. Without a running engine, our options were very limited, and I’d no doubt that this was going to be messy. Close up, the gravel track looked way too narrow and had small trees on both sides. We touched down hard and the Kitfox bounced back in the air again. Almost paralysed, I sat staring ahead waiting for the next bounce. There was a wooden railway sleeper across the track. Rebounding from the next bounce, we touched ground again just before the sleeper. The crunch of buckling steel must have been pretty loud but I don’t remember hearing anything. Somehow my perceptions had turned off—I didn’t care about my plane—I only wanted things to stop moving. As we skidded across the sleeper, the right main wheel came up and jammed my exit door shut. With the other wheel still intact, we started a ground loop. By this time, I’d removed my headset and was ready to unbuckle my belt. When the turmoil stopped, I sat in silence for a moment, reeking of petrol, then tried in vain to open my door. Unsurprisingly, Kevin hadn’t wasted any time in getting out and so I slipped across his empty seat and out the only open door. I later learned from him that he’d had a similar experience previously, which taught him that in an emergency it’s a good idea—if at all possible—to open your exit door before touchdown. It didn’t take long for my wife and kids to find us. Standing in my petrol-soaked clothing beside my wrecked plane, I asked my wife if she could bring me some clean, dry clothes from the car. Her reaction was to pull a packet of cigarettes out of her pocket. ‘Ah, let me have a smoke first, I’m a nervous wreck!’ she said. And began to strike a match. There was no fire, and the solid construction of the cockpit saved us. We didn’t have a scratch on us. 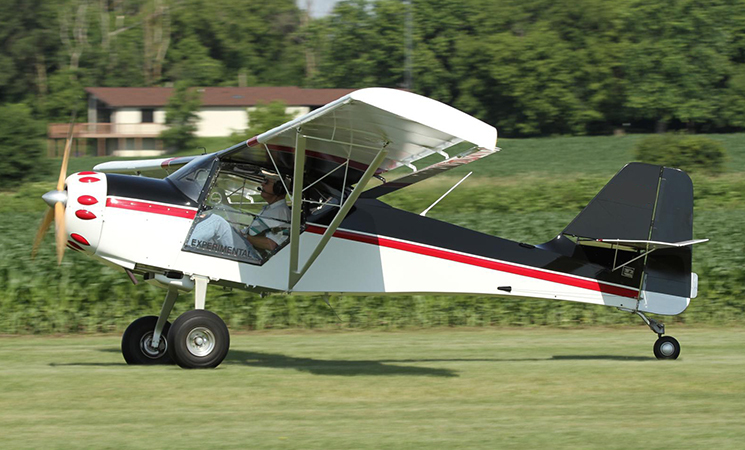 Skystar accepted responsibility and sent me a new Kitfox 4 kit with newly designed composite tanks at no charge. My wife is still a smoker. She’s now my ex. I am not sure why the focus is on the wife smoking and your separation here. Seriously, she was prepared to drive 600km with kids to support you in a peak traffic period. Perhaps you should have previously briefed her to NEVER smoke around any aircraft? Also, while your friend escaped easily because his door was open, there is an equal argument for maintaining the structural integrity of the fuselage safety cell by keeping the door closed. I think there was more luck involved than anything else – luck that you built a simple aircraft that lands at a modest speed. Good luck or bad luck are our constant companions. Making the right decisions at the right moment and staying focused saved us. Are you still building or still own the new kit that skystar sent as a replacement? I am in Perth as well and would be very interested in catching up and seeing a Kitfox in person as I’m looking into buying a kit myself. Cheers, Trafford.